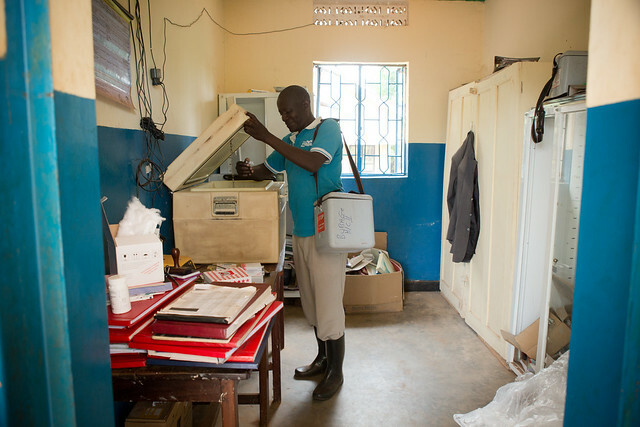 When a clinic has a reliable source of electricity, healthcare providers can extend their hours of operation, make use of more advanced medical technologies, and, of course, ensure that vaccines and other medications remain adequately refrigerated. That said, it is not just power but consistent power that is necessary to prevent vaccine failure due to disruptions in the cold chain. During our trip to Haiti, we visited a rural health clinic where a previous power surge had caused a part of their refrigerator to burn out, and the vaccines inside had to be thrown out. Having no funds for a new part, the head of the clinic had to ride a “tap-tap”, a shared taxi in the back of a pickup truck, for an hour to the nearest hospital to pick up vaccines for Vaccine Day. At the end of the day, she had to undertake the one-hour journey back to the hospital to return the leftover, unused vaccines. In addition to sustaining the cold chain, there are other positive effects of electrifying clinics. 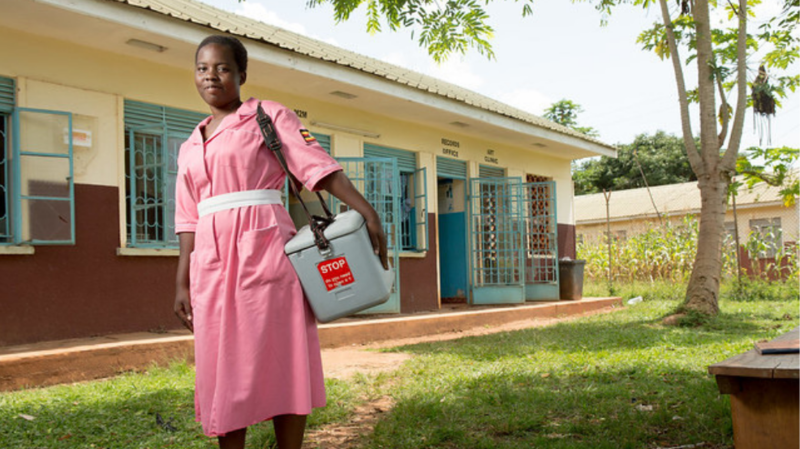 For example, in Rwanda many frontline health workers rely on cell phones to relay vaccination rates, report outbreaks, and disseminate health information. Without a reliable source of electricity at health centers, these community health workers cannot charge their phones, hence restricting their ability to deliver key data about immunization programs and disease prevalence. In this way, immunization systems can help bring new and more sustainable technology to isolated areas. 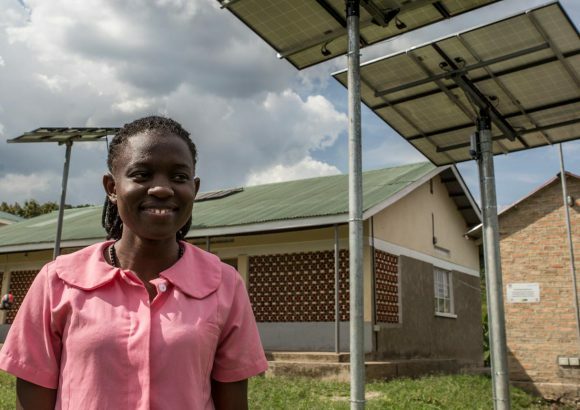 Of course, the benefits of electrifying clinics extend well beyond increasing immunization access and reporting on vaccine-preventable diseases. 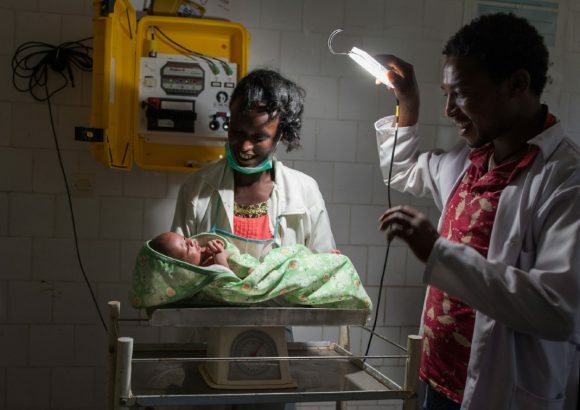 When a clinic is fully electrified, providers can better respond to nighttime emergencies, which is especially important considering that many pregnant women give birth at night. In addition to the need for light during labor and delivery, obstetric emergencies often require blood transfusions and medical devices that require power to function. Beyond just birth, power in rural clinics is also a gender issue, as many women in rural areas of low-income countries, who do not have access to hospitals, rely on these clinics for all of their health care needs. The bottom line is that whether it is to fortify immunization systems or to broadly strengthen healthcare delivery, powering healthcare is a critical element for empowering children and families to have access to quality healthcare services and to lead happy, healthy lives.